Positive: Good keyboard; relatively good performance; silent operation. Negative: Relatively low resolution of the display; quite heavy; thick; old design. Positive: Impressive build quality; good material; AccuType Keyboard; good quality full HD display; compatible with Mini Display Port and USB 3.0; finger scanner; long battery runtimes. Negative: High price. 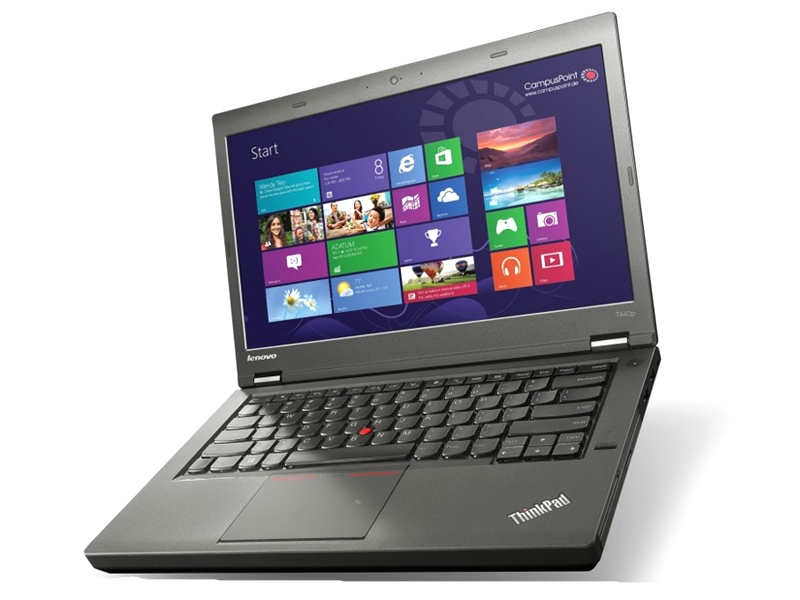 The Lenovo ThinkPad T440p 20AN-006VGE is one of the latest offerings for business users. With the premium price tag, one would expect this top of the line machine from Lenovo to offer some premium specs as well. Weighing in at 2.2 kg, this 14 inch device should provide a nice balance between portable and a comfortable work horse. The connectivity includes 2 USB 3.0 ports, 2 USB 2.0 ports, Gigabit LAN, a mini display port, and an SDXC card reader. There is also a VGA port, along with the usual audio jack. For those with security concerns, the fingerprint reader, and Intel Anti Theft and Computrace services are provided options. Options of screen resolution range from a TN 1366x768 pixels to Full HD IPS. The range of processors should also suit most users’ needs, with the top of the line mobile processor - Intel Core i7-4700MQ quad-core - available along with slower processors. Using the Nvidia Optimus technology, the Intel HD Graphics 4600 runs for power saving and Nvidia's GT 730M runs more demanding graphic tasks. For those who also want to use this machine for their gaming needs, this machine can only run demanding games at low to medium settings, which may not be ideal. With a large 100 Wh battery, this laptop could easily last a full workday, or with power saving measures, about 15 hours. To sum up, the customizability of this small yet powerful device should attract many business users who are followers of the Lenovo brand of business machines.